We got up early to hit the road and have the complimentary hotel breakfast. We both just wanted to get home. I had to stop at the Trees of Mystery to take a photo of the huge Paul Bunyen and Babe the Blue Ox Statue. We spent a lot time on the trip home talking about Pelican Bay and Super-Max prisons. 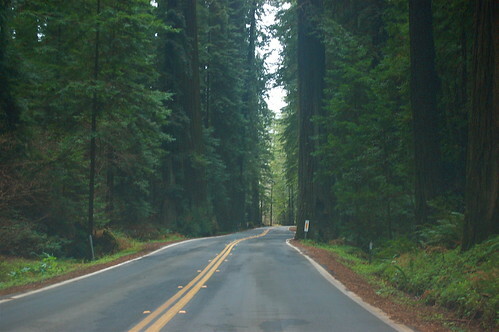 We drove down the Avenue of the Giants, but I did not drive through a tree. Kate said that I have to save something for when we have kids. It was a amazing to drive down 101, from the coast, to the great north woods, to wine country. The views were amazing. We stopped for Milkshakes in Santa Rosa, but I could not convince Kate to go to the Warm Puppy Cafe. It took us 45 minutes in traffic to get from Berkley to past the Bay Bridge.